Paul Schiefer did what many men did after serving in the Navy during World War II. He resumed his hobby of working on cars. He began experimenting on his flathead Ford V8-powered "T" and eventually produced the first ribbed-type, lightweight, cast-aluminum flywheel that would not warp or distort under severe load. As horsepower increased, so too did the danger of flywheels exploding into dangerous shrapnel.Schiefer developed a process that provided the ultimate in coefficient of friction and wear resistance, and went on to develop the first bonded-bronze clutch facing and a new aluminum flywheel called the "Albro." During the 1960's, Schiefer guided his company to become the largest specialty drivetrain-component manufacturing company in the world.As the aftermarket industry began to grow, so did the need to recognize the pioneers who contributed to it and to the formation of the association. Created in 1969, it is the most prestigious award presented to an individual by the association. It is designed to honor outstanding persons in the industry who have enhanced the stature of, or significantly contributed to, the industry and/or association's growth. The SEMA Hall of Fame award recognizes people who have given to the industry over a long period of time. In fact, one of the criteria for the SEMA Hall of Fame award is that the candidate must have been "involved in the industry and/or association for a minimum of 10 years." "Our industry is fortunate to be filled with thousands of hard-working men and women who are passionate in their support of the association's various activities," says Chris Kersting, SEMA President and CEO. "While there is no way to truly express the full breadth of our admiration and thanks to those hard-working people, the election of select individuals to the SEMA Hall of Fame is the one time each year when we can hold up their accomplishments for the entire industry to celebrate." 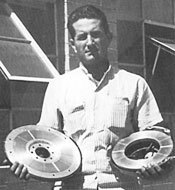 In honor of the Hall’s first inductee, subsequent inductees received the Paul Schiefer "Old Timer's Memorial Award,” named for the man – one of SEMA’s original founding members - known for pioneering safer flywheels and clutch assemblies for racing. The "old timer's" reference alluded to a board directive that the award honor founders of the industry. In 1986, the award came to be known simply as the SEMA Hall of Fame. Though the name changed, the original intent did not. To this day, the award continues to honor and pay tribute to the leaders and legends that helped make the automotive specialty equipment market an industry worth in excess of $30 billion annually. And while the SEMA Hall of Fame was originally intended for only one individual a year, it quickly became clear that a number of individuals deserved credit for contributing to the growth of the industry. Singling out just one person a year painted an inaccurate picture of how the industry arrived at its present course. "Hall of Fame inductees are all industry leaders who have made incredibly huge contributions to shaping the industry," Kersting says. "Looking at the history of the SEMA Hall of Fame and the significance of it, it's clear that the original purpose and intent of the program has stayed the same. It's clear that the coveted award is reserved for an elite few without whom our industry would not be where it is." In any given year, it’s not unusual for three or four people to earn induction into the Hall of Fame. New inductees into the SEMA Hall of Fame are announced at the annual SEMA Installation Banquet, a prominent social event that attracts the who’s who of the industry. Later in the year, the individuals honored with Hall of Fame commendation are recognized at the SEMA Awards Banquet during the annual SEMA Show. The custom-designed trophy is regarded as one of the most admired and sought after in the automotive aftermarket.